Complementarianism. In today’s society of liberal theology and the blurring of gender identity and roles this has come to be considered an ugly word and an almost unthinking concept. Many would have you believe that complementarianism is nothing more than an attempt to oppress women and have them domineered over by men all the while stripping them of their individual identity, will, and worth. Is this an accurate portrayal of all that complementarianism entails? I believe not! Furthermore, our beliefs of gender roles in general and how those roles relate to marriage should be shaped by God’s word. So we must ask ourselves, what does the Bible say on this matter? First of all what is it and where does this idea come from? 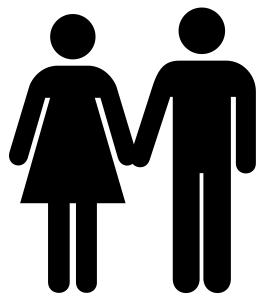 Simply put complementarianism is the theological concept that men and women have equal worth and standing before God, but have differing and complementary roles and responsibilities. This conclusion is arrived at by taking a look at the overall teaching of scripture. Both men and women are created in the image of God (Genesis 1:27) and as equal image bearers there is no hierarchy of status or value. However, they are created distinctly male and female with differing roles and the male (Adam) given primary responsibility, and thus accountability before God. Wayne Grudem says, “The creation of man as male and female shows God’s image in (1) harmonious interpersonal relationships, (2) equality in personhood and importance, and (3) difference in role and authority.” It is precisely this distinction in role yet equality in value that gives us a glimpse into the Trinity (one God in three persons) and the relationship between Christ and His church. This concept is seen most perfectly in the relationship between God the Father and God the Son (Jesus). Jesus is fully God (John 1:1-5; 10:28-30; Colossians 2:9) with equal worth and value as the Father, but He had differing roles and responsibilities. This can be seen in the Garden of Gethsemane where Jesus prayed to the Father not my will but yours be done (Matthew 26:36-46). He willfully submitted to the Father. The relationship between Christ and His church paint the picture of the proper relationship between a husband and his wife (Ephesians 5:22-32). The husband is to love and care for his wife as Christ loved and cared for His bride (the church). This is a sacrificial love even to the point of sacrificing one’s own life for the sake of his bride. Also, the wife should willingly love and submit to her husband as the church submits to Christ. Just as everything else in creation, this complimentary relationship between male and female, and especially husband and wife, has been marred by sin. What we often see is men trying to establish a dictator style authoritarian approach to the role of husband. This is sometimes referred to as hyper-headship and can lead to emotional, verbal, and/or physical abuse. Likewise, wives can be rebellious to the leadership of their husbands or can become resentful. This is the essence of the curse in Genesis 3:16b where it says, “Your desire will be for your husband, yet he will dominate you.” In textual and grammatical context this is saying that her desire will be for her husband’s role or position and the husband will rule as a dictator over her. Taking into account the overarching story of the Bible on the subject we see that differing roles for men and women, especially in marriage, was part of God’s perfect creation. This relationship was then corrupted by sin, but would be redeemed by the blood of Christ on the cross. When we fulfill our God given roles biblically we show the world a picture of how Christ loves His church and how the church submits to Christ. This is only possible with the help of the Holy Spirit as we repent of our sins and confess Jesus as Lord and Savior. May our lives and our marriages be used by God to glorify His name! i just wanted to provide some really good information on another viewpoint…not to cause irritation or trouble, but just because i wish i had been presented with both sides and been enabled to make my own informed choice. the following is an excerpt to my blog…click on the link below to see it all.